Kari Pesavento is the Director of Childrens Connection, and brings nearly 20 years of experience working with clients in crisis to her role. She began her career at an in-patient treatment facility for individuals with mental health and addiction issues, and later worked as the Director of Operations for The Center for Sexual Assault Crisis Counseling and Education. Responsible for day-to-day operations and case management at Childrens Connection, Kari’s knowledge of the legal and child protection systems coupled with her supportive personality helps to put families at ease and enables her to facilitate collaboration between the MDT members. Additionally, she is responsible for providing community trainings through the SCAN program. 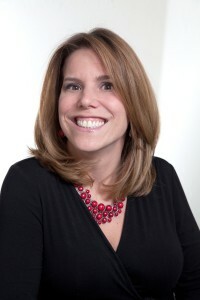 Kari sits on the Board of Directors of the Connecticut Children’s Alliance, and is an appointed member of the Governors Task Force for Justice of Abused Childrens Multidisciplinary Team Evaluation Committee.